My father, Dean Kelley, passed away on June 5th 2012. It was because of his interest in horticulture, that on a whim, I changed my major in college to horticulture. I have come to realize that so many of my values, interests and passions mirror his. Just prior to his death, I started working on a biography of his life. While going through old photos of places that we lived, I noticed that there always were newly planted trees in the front yard, although we usually moved before the trees matured. A Facebook post I saw recently could have applied to him: “A society grows great when old men plant trees whose shade they know they shall never sit in”—a Greek Proverb. My dad planted both shade trees and fruit trees—like a modern Johnny Appleseed. 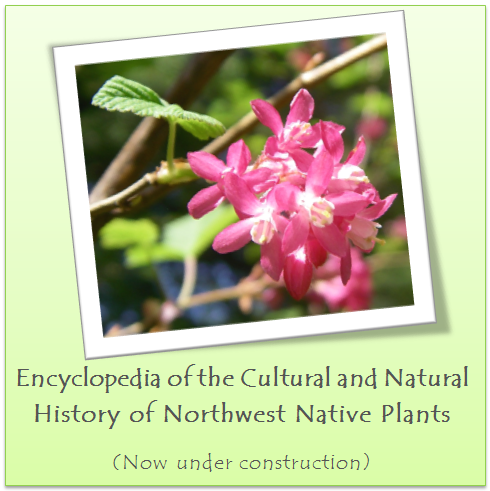 After he retired, my dad became a Master Gardener in Pierce County. The WSU Master Gardener program was originally designed to relieve the County Extension Agent from being swamped by gardening questions. The idea was to train hobby gardeners to answer basic horticultural questions. In return for training, WSU Master Gardeners are required to volunteer at the Master Gardener Office, Community Plant Clinics, Demonstration Gardens, and other outreach educational programs. 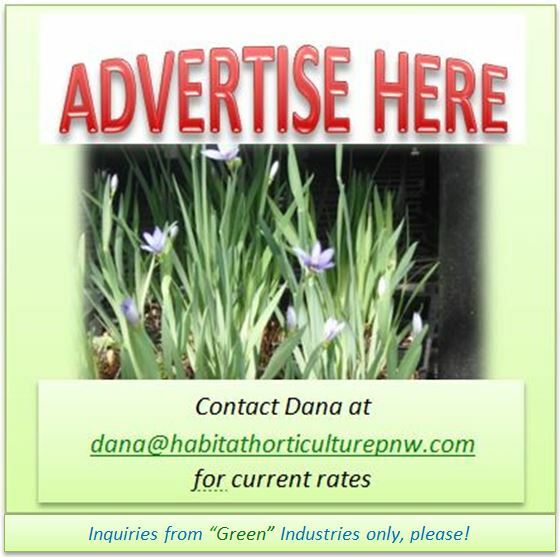 Because many horticultural professionals also sign up for the program, they created a more expensive non-volunteer track. For those interested in this program, applications can be found at: http://county.wsu.edu/pierce/mg/Pages/default.aspx. It is best to apply early. They get a large quantity of applications and cannot accept all that apply. I knew many Master Gardeners when I worked at the Seymour Conservatory. Many were retired and gave their time answering questions, and sharing their gardening experience. They, like my dad, were special people who provided a valuable service to their community. 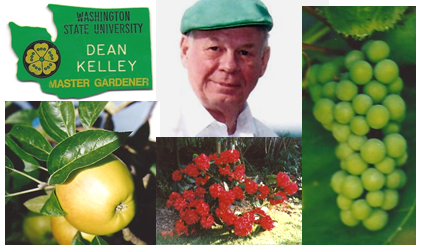 My dad grew roses, rhododendrons, apples, blueberries and grapes on his small lot on Highland Golf Course. After he helped my brothers and I buy our first homes, he would give us trees, shrubs & vines to add to our landscapes. My oldest brother, a teacher, now a school administrator, got his doctorate in horticulture—his kids would bemoan being slaves to their dad’s orchard dream-but now he gives them trees for their own yards. My other brothers also grow fruit and make cider & wine. I earned a master’s degree in horticulture and although I specialized in ornamental and native plants, I continue to plant fruit trees, as well as grow a vegetable garden. I have a couple of blueberry bushes that came from my dad’s yard, a Hollywood plum tree he bought for me, and some grapes from cuttings of his grapes. Every harvest reminds me of him. My dad grew up in the depression. It was always important to him to have money in his wallet. Providing for his family was of paramount importance. I think that growing fruit was an extension of ensuring food security for his family, with the added bonus of anticipating the pleasure of consuming nature’s candy–sweet, fresh fruit, and the pride in knowing you grew it yourself.